Pallet System | Smithway Inc. 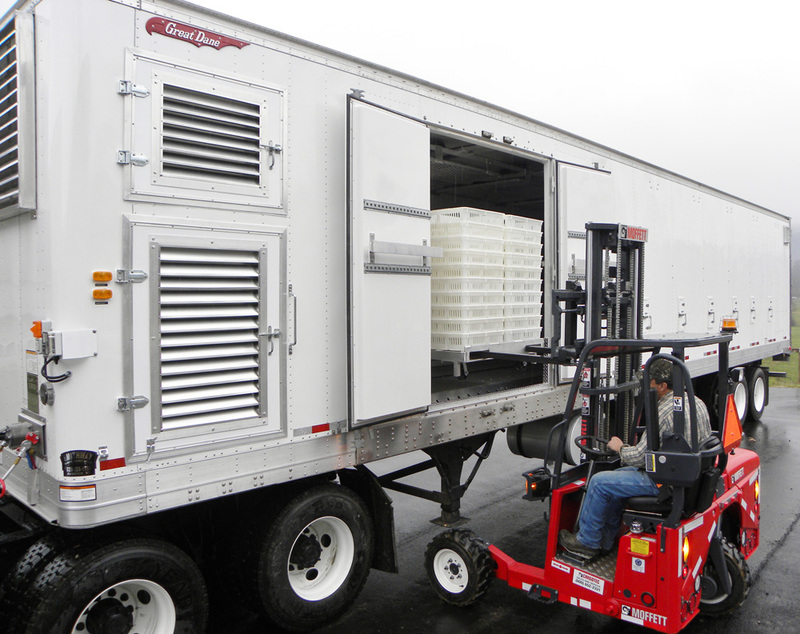 The "Chicks on Wheels" pallet delivery system allows easy loading of thousands of chicks at a time. The "Chicks on Wheels" pallet delivery system can be constructed on either trailer or truck bodies. Available on both trailer and truck bodies. Our “Chicks on Wheels” pallet systems allow chicks to be loaded on our wheeled aluminum pallets at the hatchery, rolled directly into our units, and then offloaded with your forklift at delivery. The ease and reduction in the amount of labor needed during loading and unloading is what makes this our #1-selling unit. Adding the available hydraulic mounting kit to the rear of our systems allows you to haul your Moffett forklifts from house to house. 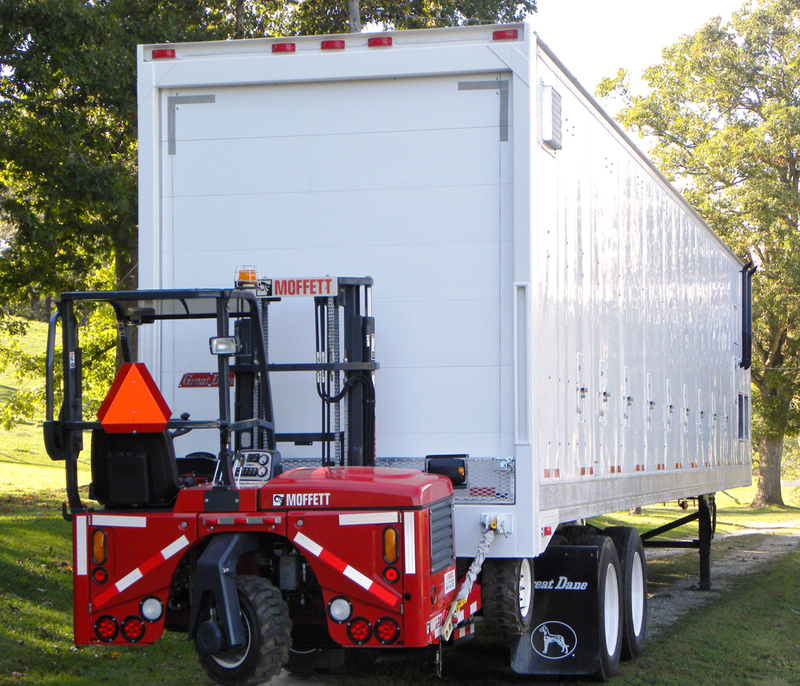 Smithway is a distributor of Moffett, and can provide any of your forklift needs. At time of delivery, the Moffett is simply removed from the rear of the unit, taken to the front oversized door, and them used to remove each pallet (which can hold up to 12,000 chicks) and take them into the house. Our handheld remote then operates our winch system, which pulls the next pallet forwar for removal. Each pallet can then be stacked up on top of another, and placed on the rear of the truck for return to the hatchery. Copyright ©2018, Smithway Inc. All rights reserved. Site design by Asheville Design Works, Asheville NC.